Bill's academic credentials include a BA and MBA in Management and Industrial Relations. 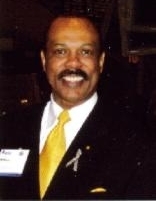 He has 25+ years of progressive experience in Organization Development with two Fortune 500 Companies. On the "softer" side, he knows how for achieve significant culture change, establish development, coaching and mentoring as major priorities, and enhancing employee motivation and satisfaction.